St. George, Ontario- After a second round exit to the Bradford Rattlers in the 2018 Russell Cup, the Ville-Marie Pirates went into the off-season hungry for more. They had a lot of returning players, including Nicolas Bellerose, Alex Peeters, and Hugo Blum, who made big impacts in the first year of their franchise. They managed to bring in some more local talent during the summer, and they were prepared for the 2018-2019 GMHL season. The Pirates came hot out of the gate, winning their first fourteen games, becoming the undisputed #1 in the league to start the season. Their win streak was snapped at fourteen games though, in a loss to the New Tecumseth Civics, and they went on a slump for about ten games going into the month of December. On a separate note, on November 30th, the Ville-Marie Pirates were announced as the hosts for the 13th GMHL All-Star Game. The Pirates picked their play up going into the break winning their final two games, and finishing the first half of the season with a record of 21-7-0. During the break though, while the players were able to rest, the Pirates front office stayed busy. They made a couple of key moves, adding forward Vincent Blanchette, defenceman Karl-Etienne St-Fleur, and goalie Gulio Costa. However, after the Christmas Break, the Pirates got off to a slow start, losing three of their first five games back. Right before the All-Star Break, at the trade deadline though, the Pirates made one more big splash, acquiring one of the top defencemen on the market in Josh Labelle from the Bradford Bulls. Then came the turning point in the Pirates season. On January 19, the Pirates took on the North Division leaders the Bradford Rattlers, where they would end up winning 8-3 handily. From that point on, the Pirates picked up a bit more swagger in their step, and became one of the hottest teams. They would go on to win seven of their last eight games going into the playoffs. The Pirates took on the Bradford Bulls in the first round, and to many peoples surprise, ended up dropping Game 1. After dropping Game 1 to the Bulls, the Pirates season was on the line, facing elimination in Game 2 of a best of three series. It was an extremely close game, heading into overtime 2-2. The Bulls had a chance to close out the series in overtime, but weren’t able to finish, and the Pirates came back the other way and put the game away, winning 3-2. Ever since that game the Pirates have been rolling, and didn’t look like they were stopping. The Pirates went into the next series and swept the New Tecumseth Civics with ease moving on to the North Division Finals, and a rematch of the previous season with the Rattlers. This series proved to be a war, where both teams split the first four games, however, the turning point of the series came in Game 3. The Pirates were down 6-2 against the Rattlers in the second period, but were able to mount a comeback and tie the game at 6. The Rattlers would end up winning the game 7-6, but this comeback ended up giving the Pirates the momentum for the rest of the series. The Pirates would go on to win Game 4&5. Only one win away from making the Finals for the first time in franchise history, the Pirates had a lot of pressure to beat the Bradford Rattlers in Game 6. They were in a similar position last season against the Rattlers, when they held the series lead 2-1 in a best of five series. The Rattlers ended up winning the next two games and ousted the Pirates from the playoffs. This year the Pirates didn’t make the same mistake and shut down the Rattlers, taking the game 3-0, making it the first time the Rattlers had been shutout all year. After slaying every old personal demon they may have had standing in their way by getting past the Rattlers, the Pirates were ready for the St. George Ravens in the Russell Cup Finals. The first three games in the Russell Cup Finals were either tied, or a one goal game going into the third period, however the Pirates always found a way to win, taking the first three games. With a chance to win it all, away from home in St. George, the Pirates didn’t hesitate, scoring three goals in the first period, and three goals in the second period to take a 6-2 lead going into the third period of Game 4. They added two more goals to make it 8-3 over St. George, sweeping the Ravens 4-0 to win the Russell Cup Championship. 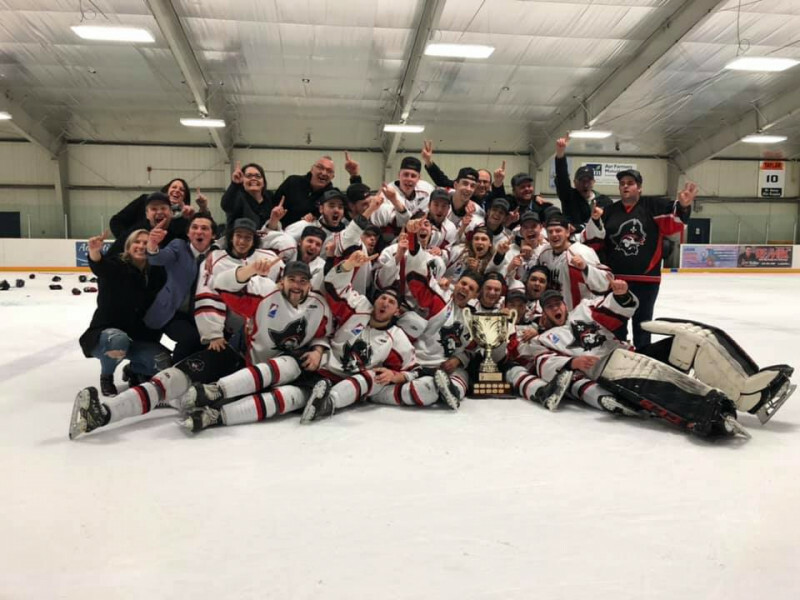 The GMHL would like to extend it’s congratulations to the Ville-Marie Pirates on winning the 2019 Russell Cup Championship, and winning their first Russell Cup in franchise history in only their second year as a team. 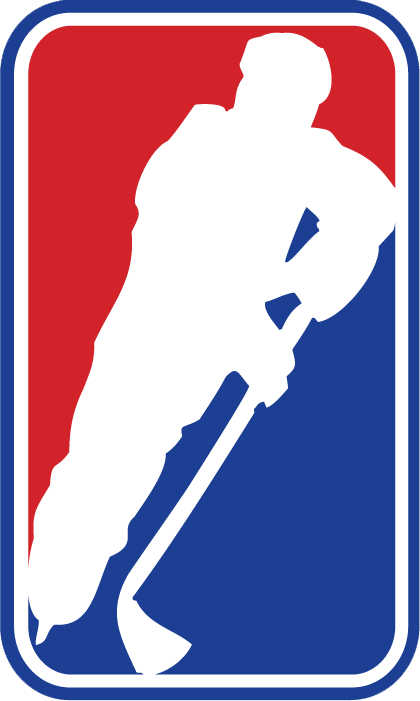 It was a tremendous season, and we look forward to the 2019-2020 GMHL season.